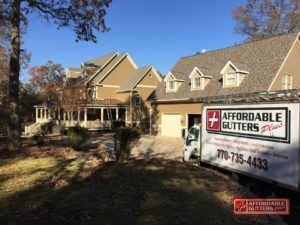 Whether you need a quick repair or a full rain gutter installation, Affordable Gutters Plus, LLC takes care of each gutter service need in Kennesaw, GA. You get quality rain gutter installation for your house with our full roofing and gutter services. To help you have peace of mind, we strive to give you rain gutter installations that will last you as long as you own your house. Our contractors are skilled experts who are licensed to give you the best workmanship and customer service around. One call is all it takes to obtain all of your rain gutter installation answers. 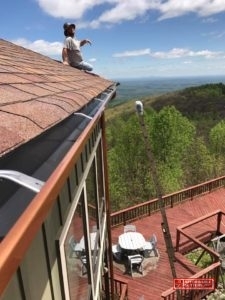 Dial 770-735-4433 for the best services and rain gutter installation in Kennesaw, GA from Affordable Gutters Plus, LLC. Metal Roofing: Protect your home with strong, energy efficient metal roofs. Roof Drainage Repair: With roof drainage repair, you get a system that works properly for your house. Seamless Rain Gutters: Excellent installation of your seamless rain gutters from Affordable Gutters Plus, LLC means you receive a system that won’t crack, offering you protection against water damage. Squirrel Deterrent Flashing: Stop pests and rodents in their tracks with squirrel deterrent flashing for your house. Receive these and many more services you need for your house. Your house framework remains intact because your roofing system acts as a shield to prevent excessive damage from storms, hail, and even winds. To increase the protection of your roof, have a superior gutter system installed. Contact us at 770-735-4433 today to get started on your rain gutter installation in Kennesaw, GA. Your home is a big investment and you need it to last you a lifetime. 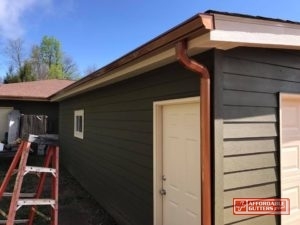 With Affordable Gutters Plus, LLC, you receive contractors that comprehend your specifications and strive to supply you with gutters that are installed to last as long as you own your house. Our team gives you what your home needs, offering you top-notch installation and high caliber materials. Your roof or rain gutter installation service receives the best customer service and craftsmanship around. Give Affordable Gutters Plus, LLC a call today to talk with an expert about beginning your rain gutter installation: 770-735-4433.